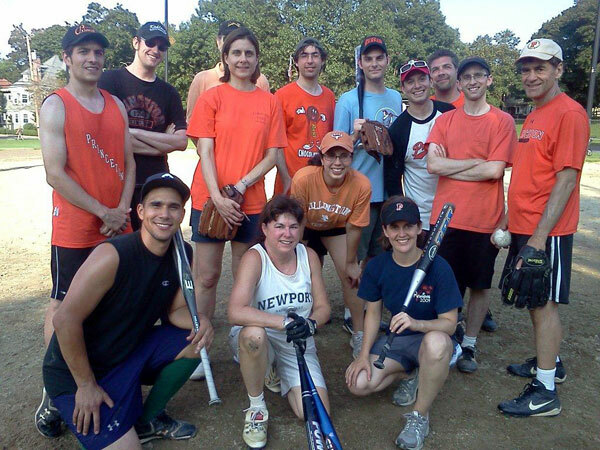 PANE sponsors the Princeton entry in the Boston Ivy Alumni Softball League. PANE sponsors the Princeton entry in the Boston Ivy Alumni Softball League. The Tigers have won the league championship four of the last five years. Games are played Friday evenings in Cambridge or Brookline until early August with all 8 teams qualifying for the single elimination tournament. For more information, please email captain Linda Fredrickson lindafredrickson@gmail.com. © Copyright Princeton Association of New England, ALL RIGHTS RESERVED.